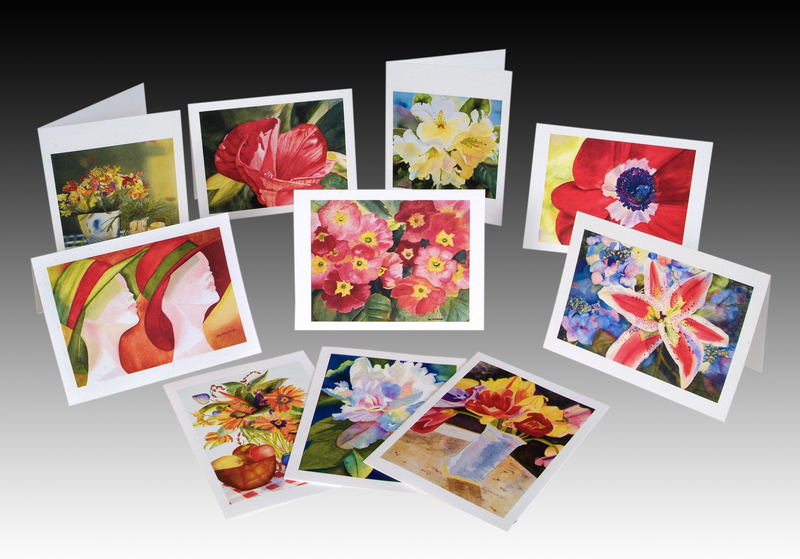 We can create artist note cards from digital images that you provide, either from artwork we have photographed for you, or from other sources, as long as photos provided, are high resolution digital files. Note cards are priced individually, and envelopes are included. There are no minimum quantities for your order. You may order as many, or as few note cards as you like from each original artwork. A setup (card design) fee of $15.00 is required for each business card design. We will retain this setup design permanently for future card orders, and from that point forward, you will never pay a setup fee for the same business cards (re-ordered) ever again. Our business cards are printed on premium luster photo paper, and provide a rich, colorful image quality that is impossible to duplicate on standard, everyday card stock!